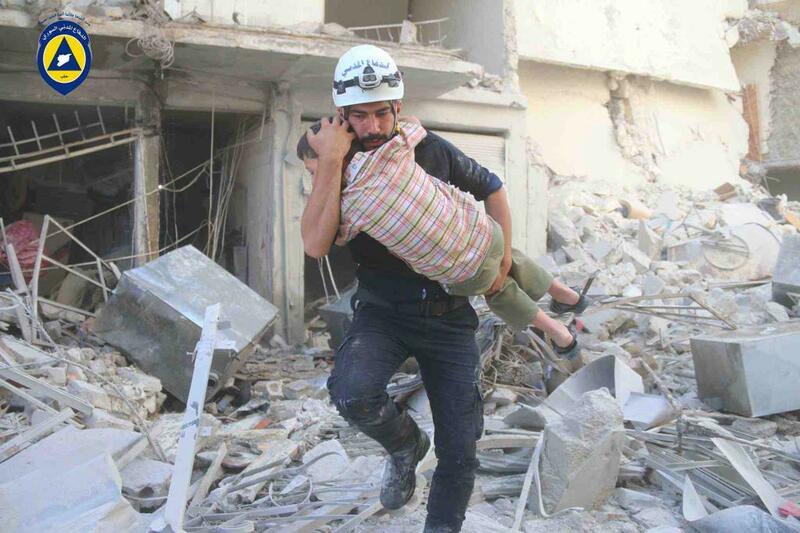 Guided by a verse from the Quran, ‘To save one life is to save all of humanity‘, the Syrian White Helmets are first to the area when bombs fall, as they dig for survivors and recover them from the rubble. They are ordinary people, former bakers, taxi-drivers, carpenters, students and teachers. 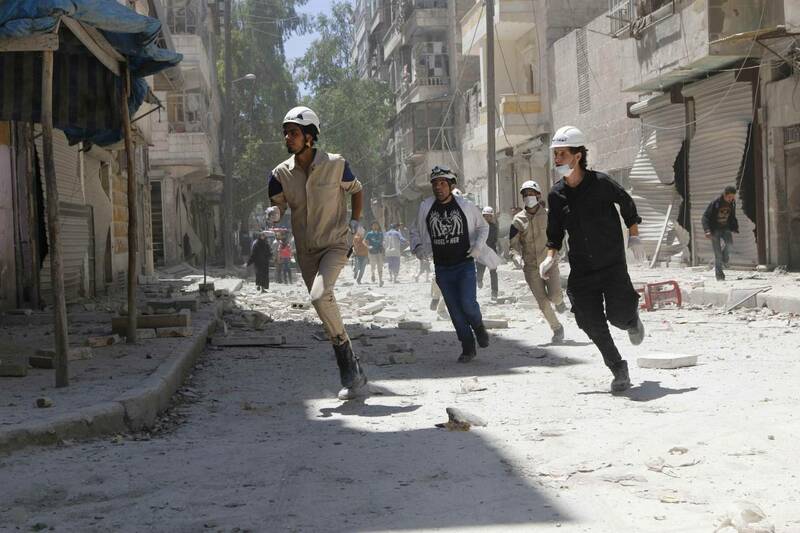 The only civilian-led organisation responding to air attacks in opposition-held areas, since 2013 they have rescued 60,000 people that have been trapped or injured in bomb attacks. Set up in 2013 with just 20, the group now has 2,600 volunteers in 110 different locations throughout Syria. 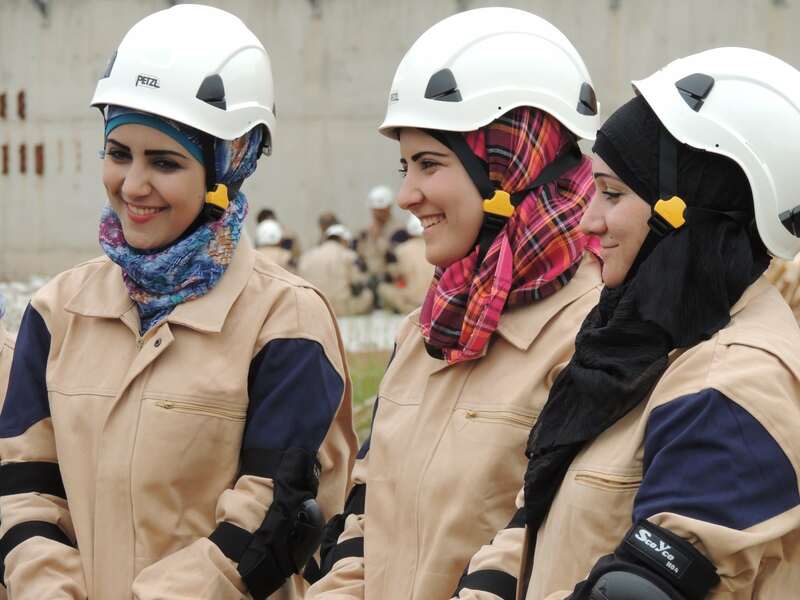 In a departure from the country’s more traditional gender roles, since 2014 a total of 56 female White Helmets have also joined the group. Their contribution is invaluable owing to people’s refusal to let women and girls be rescued by men in some more conservative areas. Barrel bombs tear buildings apart, and with it clothing can be ripped off too, yet to be seen by a man when ‘unclothed’ is a sin in some communities. 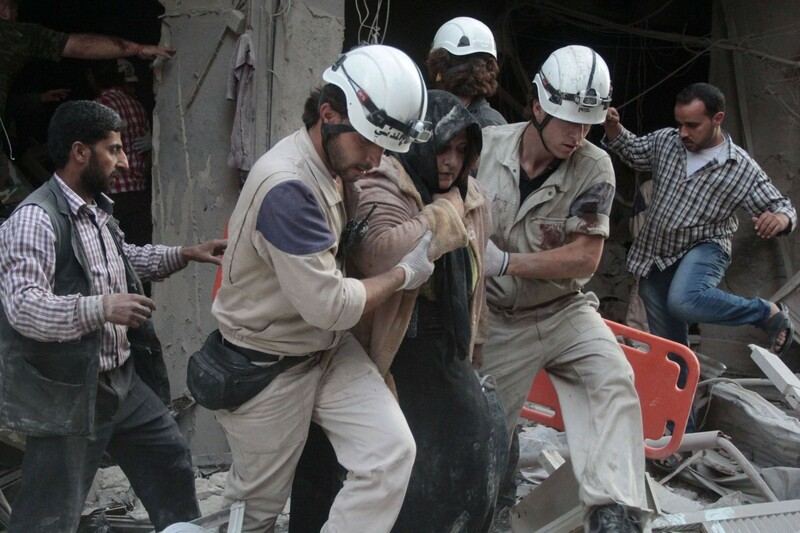 The female White Helmets are for some women and girls the only chance of survival. In 2015, online fundraising alone allowed the group to buy six ambulances for the women of the White Helmets and crowdsourced donations from all around the world provide the group with rescue equipment and medical supplies. New forms of fundraising, and the technology that enables it, has allowed the group to step into a role once occupied by the state and professional rescue services. In the worst humanitarian crisis of a lifetime, it is ordinary men and women, and their resilience and innovation as human beings, that is saving lives. A contribution to the White Helmets’ Hero Fund will change the lives of Syria’s lifesavers – please give generously – to treat these injured volunteers and support the families of those killed. 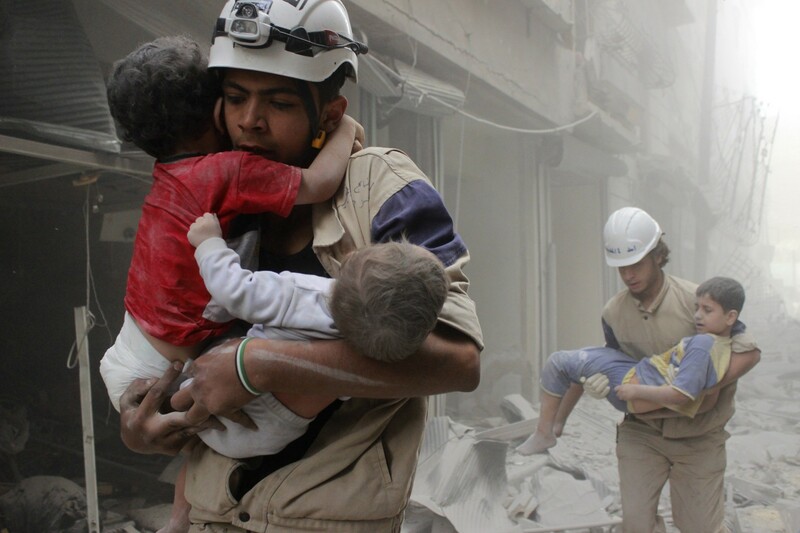 White Helmets are No.2 on the Best Atlas projects 2015. Find out what else made the list here. Tags: Awareness raising, Crowdsourcing, Gender, Government, Medicine, Peace building, Pioneers, Politics, Protest, Refugees.